Nikki Komaksiutiksak is an Inuit woman from Chesterfield Inlet, Nunavut. She is now a mother of five and currently works for the Department of Manitoba Justice. Though Winnipeg is now her home, Nikki has found the strength to preserve her “Inukness” living in the southern part of Canada. Nikki is an active member with the Inuit community in Winnipeg, and uses her knowledge and understanding of the south to assist other Inuit moving to the big city.Nikki is an inspiration to the young and old everywhere, and truly demonstrates a passion for her cultural identity. Nikki is an experienced throat singer, teacher of Inuit history and culture, and a heartfelt musical performer. 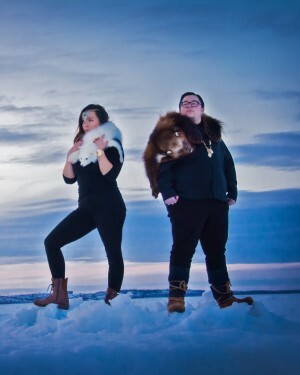 Nikki has participated in a number of international events, representing Manitoba and Inuit at such prestigious venues as the 1996 Atlanta Olympic Summer Games and more current the 2015 Indigenous Music Awards in Winnipeg. 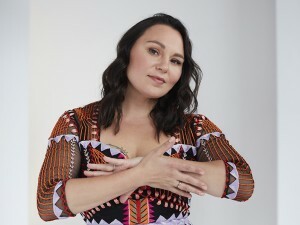 She has recorded music with local Canadian talent, including such names as, the Weakerthans, Demetra Penner and Moses Mayes.Nikki has been featured in many events around the world, always sharing her identity and teaching about her Canadian Inuit Culture. Nikki is often asked to attend Universities and schools throughout Manitoba to teach and showcase Inuit culture to both students and staff. The Inuit of Canada are an integral part of Canadian history and culture, but sadly are often excluded, overlooked, and forgotten. Nikki truly believes that it is critical that Inuit culture is remembered, recognized and celebrated throughout all of Canada and beyond!